A new consciousness is emerging in millions of people around the world that is changing the way we see ourselves, power, and relationships. Instead of seeing ourselves as random products of random circumstances and limited in our perceptions to what our five senses can show us, we are beginning to see ourselves as souls as well as personalities. We are beginning to sense that our lives are purposeful, and we long to know our purpose. Instead of seeing power as the ability to manipulate and control, we are beginning to see it as the alignment of the personality with the soul. And instead of seeing relationships as collaborations to enhance our comfort and the probability of survival, we are beginning to see them as vehicles for spiritual growth. In fact, we are beginning to understand that spiritual development is not possible without relationships of substance and depth. These changes in our experiences of ourselves, power, and relationships are combining to provide us with challenges and rewards never before available to humanity. For example, we are beginning to see that replacing war, hunger, brutality, and exploitation with peace, physical well-being, care for one another, and awe of Life requires changing internal dynamics within ourselves instead of attempting to change circumstances and other people. This is an entirely new way of approaching ourselves, our lives, and one another. It is wholesome, appealing, and nurturing. It is also the only way that we can evolve. Our world is built on discord, competition, hoarding, and exploitation, and it is now as toxic as it is painful. It has no future. A world of harmony, cooperation, sharing, and reverence for Life is calling to us, and it is up to each of us to create it, beginning within ourselves. The Seat of the Soul Institute exists to support you in creating authentic power and spiritual partnerships. We invite you to explore www.seatofthesoul.com often. A friend took a trip to New Orleans after Katrina. He is a jazz musician and singer. He has been most of his life, and he feels that jazz is the greatest thing that has happened in America. 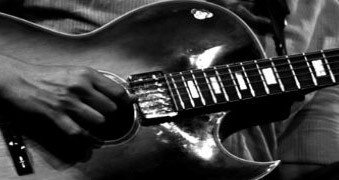 Playing in a club with local musicians, he was invited to join the second line of a funeral the next day – a gig that paid him $150, some food, and another chance to play the jazz he loves. The first line in a New Orleans funeral is the mourners. They grieve, cry, and remind everyone of what is happening. The second line is the musicians. They begin the procession with a dirge, stopping at clubs and bars along the way where they are fed and given drink. As the procession continues, the dirge slowly morphs into an unabashed celebration. “It’s the same song!” he exclaimed. My friend knows grief and mourning. I met him at a memorial jam for his son, also a musician, who died young with cancer. Musicians who had played with him over the years, and also with his son, gathered with their horns, guitars, keyboards, and drums. “Jazz is pure America,” he said. “A community of equals that keeps creating something entirely new together.” They played through the evening. Then they showed us the second line, beginning with a mournful song that ever so slowly, and then with enthusiasm, transformed into an uplifting joy that swept us all into it. How could the same sad song become a song so joyful?. Some say that life is a sad song. Others say it is joyful. I say it's not the song, it’s the way you sing it. Do you have any comments on this Message from Gary? Please share them on the SoulBlog. Learn how to transform your relationships into dynamic, substantive, deep, ongoing explorations into spiritual growth. 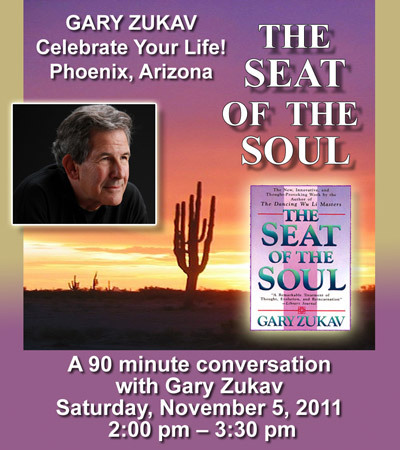 Spiritual pioneer Gary Zukav will show you ways to look at all your relationships – with children, spouses, partners, coworkers, and others – that may be one-hundred-and-eighty degrees different from the way that you have thought about relationships in the past. 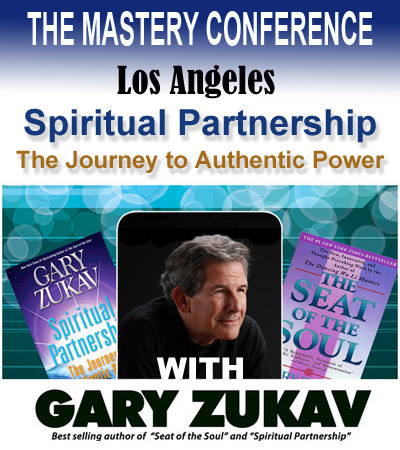 Instead of striving to make your relationships better, Gary Zukav, will show you how to make them vehicles of spiritual growth. Using your relationships to create authentic power will do more to create the kind of relationships that you long for than anything else can, if you want relationships of substance and depth.. 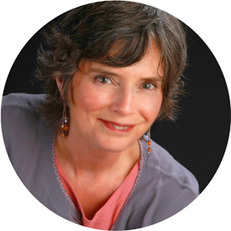 This workshop will explore the stillness and quietness of your soul and your being. Through various experiential exercises, Gary will teach you how to feel this sacred connection. You will learn how to view your life from “choiceless awareness and a non-judgmental perspective leading to a true deep authentic strength. Gary will address how to stay connected to who you truly are in your everyday life, becoming truly present, and teach how to heighten your quiet awareness. You will experience a true connection to the beauty and stillness of your soul. This will be a gentle and introspective workshop..
For more information and to register for this event visit: Mishka Productions. 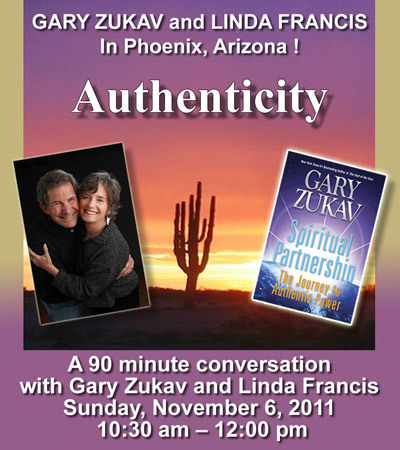 Gary & Linda will teach what true authentic strength and power is really about. They will explore the myths about the word “power” and guide you through exercises in order for you to feel your own quiet authenticity and teach you how to express that in the world. You will better understand who you are as a spiritual being and where your power and strength truly comes from. 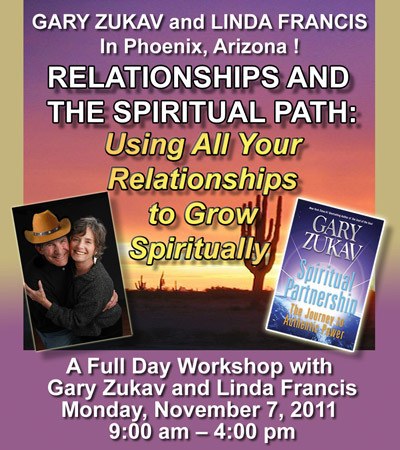 Gary Zukav and Linda Francis show you how to change all your relationships (parents, children, coworkers, spouse) into partnerships between equals for the purpose of spiritual growth. When you grow spiritually you create relationships of substance and depth. Gary and Linda show experientially you how to use all your relationships to grow spiritually and how to transform all your interactions into the most meaningful possible. Learn to use your emotions, including painful emotions such as anger, jealousy, anxiety, and vengefulness to develop humbleness, clarity, forgiveness, and love. This workshop shows you how to bring commitment, courage, compassion, and conscious communication and action into all your relationships and how to use your emotions, choices, intuition, and joy. If you want to create or deepen your relationships but are sometimes swept away by destructive emotions, such as anger, jealousy, vengefulness, and fear, this workshop is a must for you. Couples, individuals, families, and friends will find it a revolutionary opportunity to change their relationships forever. Gary and Linda will guide you through deep experiential exercises that will touch the very heart and soul of your being. I recently had an insight that has opened me in ways I am so grateful for. It has enabled me look at all my interactions differently. It started out as a simple question in my meditation: What would be the most effective way to communicate with someone I don’t think will understand me, no matter what I say? Thinking that someone will not understand was so familiar that I couldn’t see it for what is: an experience of a frightened part of my personality, and I acted with this part of my personality often. My question allowed me to see that this painful experience is not about other people, but it is about me, and having it with any particular person is just the tip of an iceberg. This part of my personality had been acting on my behalf for a very long time. I began to see that I could challenge it instead of act the way it usually does. It believes that other people won’t understand it, and it thinks “Why bother?” It withdraws emotionally, or over-explains (care takes, teaches, fixes), and it feels superior to the people it assumes can’t understand. I can speak clearly, relevantly, and without attachment to everyone at any time. I have been challenging this part of my personality by not acting on it. The more I challenge it, the more I see how I dis-empowered myself each time I acted on it. Now when I feel this part of my personality (and recognize the thought that someone will not understand me), I remind myself that it is my responsibility is to speak as clearly and appropriately as possible, and that only I can choose to do that. This has given me an even deeper experience of authentic power. What a blessing it is to realize this and to share it. .
"You create your reality with your intentions"